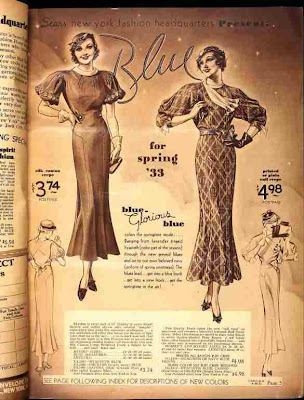 I've found lots of dresses from the 1933 fall and spring Sears Catalogues that look very similar to the EvaDress pattern. I absolutely adore the criss-cross and button detail that a lot of these have. Ohhhh...I love when they have pages in color! 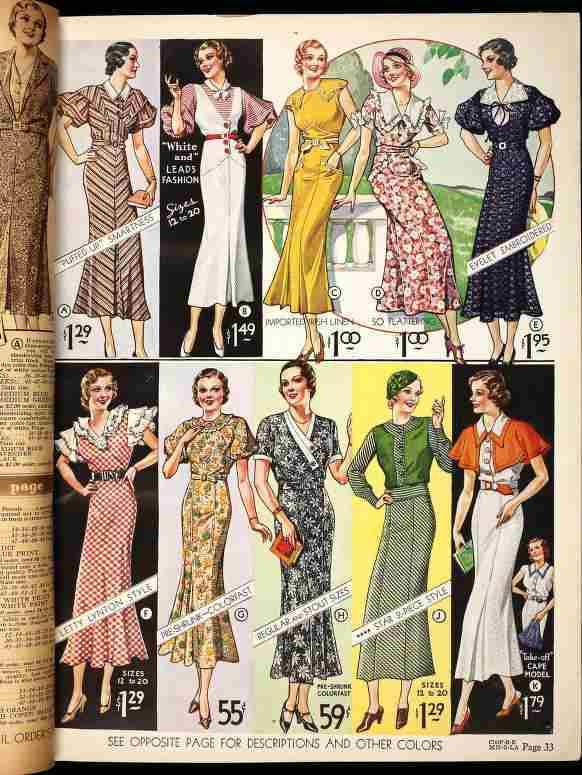 Check out the dress in the middle on the bottom. I love the collar in white! Those are gorgeous! 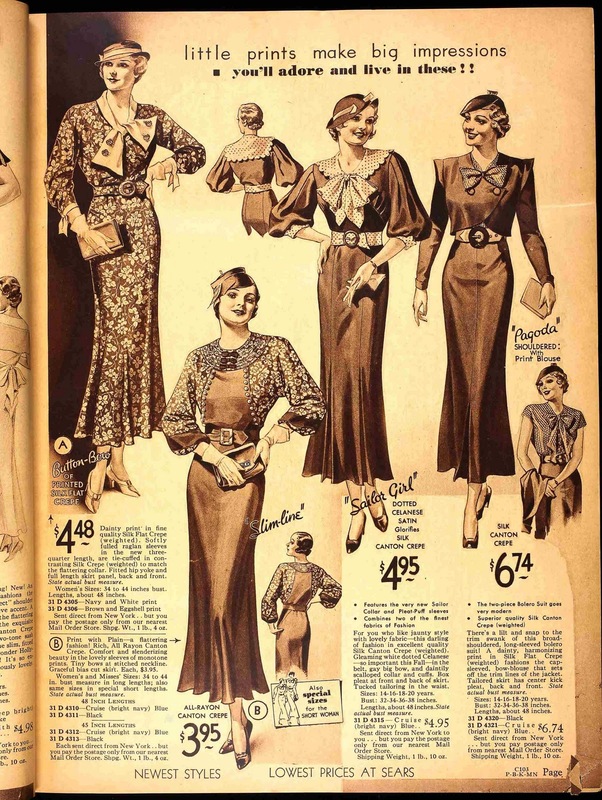 Is your interest sliding back further into fashion history? Rowr. 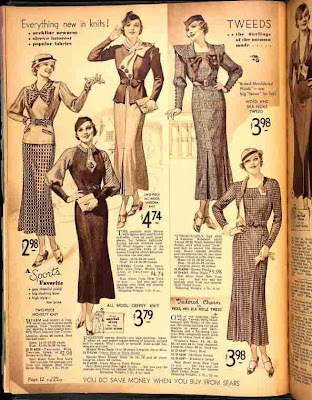 You'd look fantastic in any of those. That said, I like the second to last one but I like the collared version most of all (upper right), only with long sleeves, like the one next to it. I'm sure the buttoned scarf would look good too. I think the cut of that dress would look fantastic on you. It's been great to watch your skills improve, and to see the huge amount of support you've garnered here. I'm so happy you've found this hobby, and a supportive community to go wi' it. I love the one in the upper left on the page in color. Look at that use of stripes, in so many different directions. Imagine! Ooooh!! 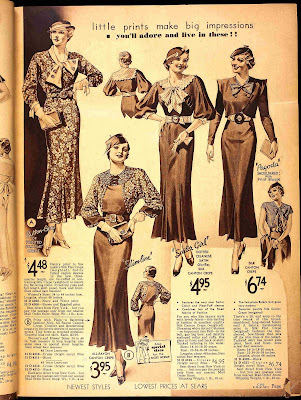 I love the one at the top of the first image with the jaunty button on scarf. And the one that looks like a white jumper in the bottom image- and the one with a cape. Too much goodness! I like the yellow one in the last photo. So summery! I love that David leaves such sweet comments here. What a doll! Loving the sleeves on these, especially the forerunners to the bishop and gathered bell sleeves, yum! 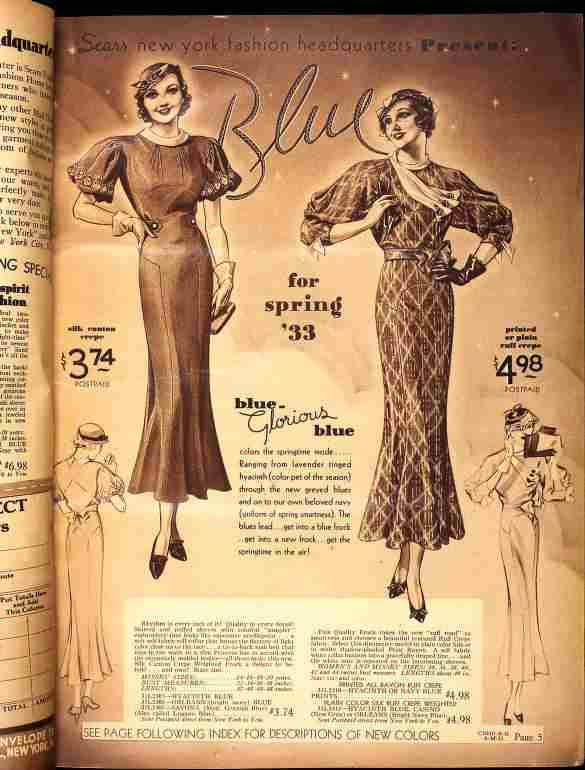 I have fallen so deeply in love with the 30s fashions over the last couple of years, thanks for sharing these. I love the detailing on vintage dresses, so inspirational! And they are all so beautifully elegant - whatever happened to elegance in today's apparel.....? Thank you for sharing these! 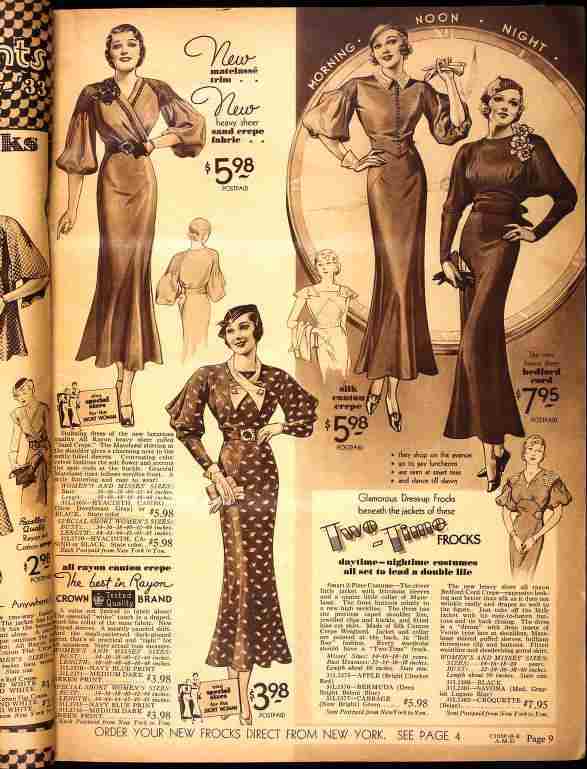 I love how glamorous the lady looks in the black dress on the right in the 4th photo. All the dresses in the last pic look so fun! I like all of them... Especially the last two on the last page. What IS it about 30's sportswear? I'm Back and Ready to Sew! !